Let me start by saying I don’t know how this product appeared one day in my stash, but it did. Let me also preface this by saying that I haven’t felt the need to spend almost RM300 on a jar of mud so I know for a fact I didn’t actually buy it. Perhaps it’s my little pixies being generous LOL! But I know Glamglow gets loads and loads of raves so when I stumbled across it, I felt the need to give the product a go to see what it was all about. 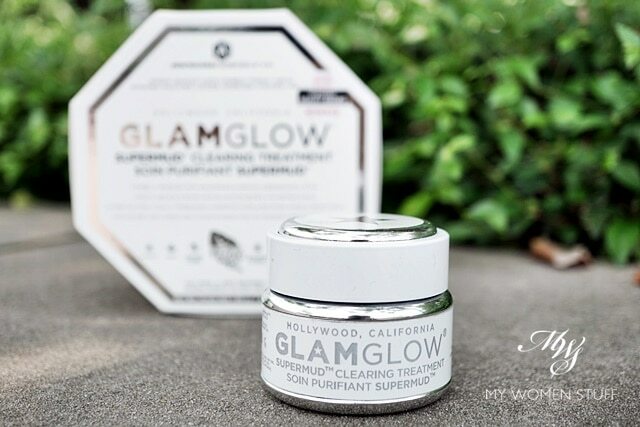 There are a few different versions, but the brand Glamglow itself hails from Hollywood California, where it is said that these mud masks are used behind the scenes as quick pick-me-ups for skin. To give it a glam glow, as it were. 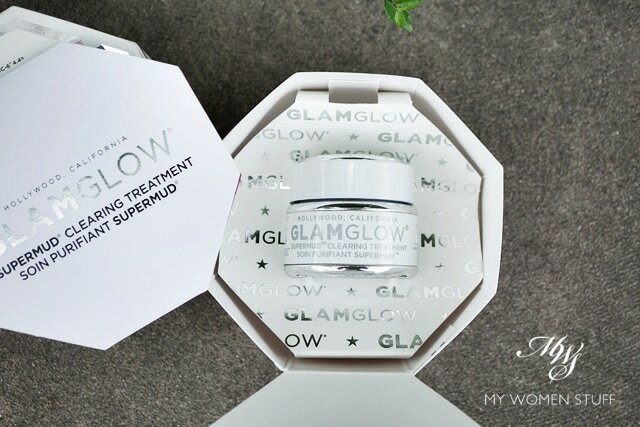 The one I found was the Glamglow Supermud Clearing Treatment, which you will see below, promises you the moon and the stars. This product, if it is believed, will give you smoother skin, smaller pores, clear breakouts and blemishes, deal with spots, pimples, zits (3 words that all mean the same thing, don’t be fooled!) and clear black and white heads. It has glycolic, salicylic, lactic, mandelic, pyruvic and azelaic acids; and I don’t even know what those last 2 were 😛 Let’s just say, it promises to do a HELL OF A LOT! So, let’s see if it does. First of all, let me show you the box. This product comes in an octoganal box that is fairly large. Can you see everything it promises to do? Remember, 3 of the words mean the same thing LOL I thought it was clever, because it looks like it does a lot, yet it’s a little silly once you look past the smoke and mirrors. Which is what I will advise you to do. Ignore the glam of Hollywood and the superlative promises. Just look at the product and see what it really does. And when I opened the box, I had the shock of my life. What the flying f….ish?! Was that a sample jar or was I entering the world of Lilliput? A hasty glance back at the front of the box told me that the jar was a mere 34g. 34g of product!! 34! It wasn’t even 50g, it was an odd 34g. Wait, how much does this retail for again? Almost RM300 locally if I’m not mistaken, and US$69 on Sephora. Please excuse me while I get over my apoplectic fit. Ok *deep breath* maybe this then is a wonder product eh? Good things are expensive, or so they tell us. 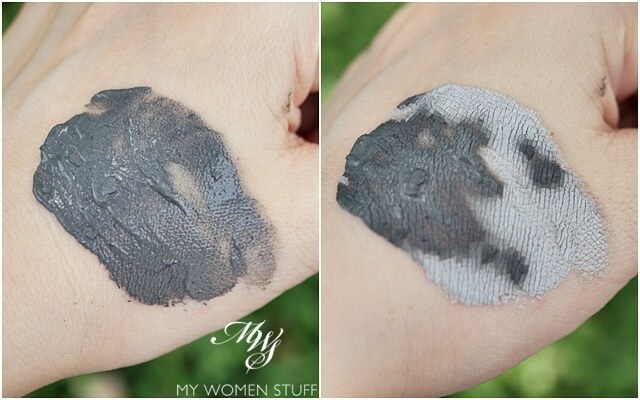 The product is a fairly thick mud paste that is a deep grey that’s almost black. I find that there are bits in it, which I have not been able to identify, but it has a fairly chunky texture, for want of a better word. If you see the swatches below, you might see the chunky bits. It feels funny because I’m not sure what they are for. They aren’t chunks of dried mud, in case you’re wondering. Anyway, you are advised to apply a thin layer to the skin (of your face, not your hands although I don’t see why not, if you feel the need) and leave it on to dry. On contact with the skin, I find that it gives a cooling tingle. I think it’s the peppermint oil, because there is a fresh minty “essential oil smell” as well. But be warned, because this means it can irritate skin too. It dries fairly slowly on skin, I find and as it dries, the minty tingle will slowly disappear, and it then looks a light grey as you see on the right. The bits are still there though, and you can see it more clearly. Once it’s all dried, you can rinse it off. Although you might have to scrub at it a little to really get it off your skin, it does wash off fairly easily. If you want to speed things up, use a face cloth, but I’ll warn you that the mud will stain. So, be patient, dampen your skin with water, rub to dissolve, and rinse as you go. Now, to be fair, I do find that this mask does leave my skin feeling very lovely and smooth immediately after using. It doesn’t make my skin feel tight (I have drier skin and drier skin doesn’t like mud masks a lot) nor do I run out of the bathroom blindly flailing for my rosewater mists or moisturiser to rehydrate my parched skin. It feels fairly comfortable. I was most curious about using this when I have blemishes, or spots or pimples or zits (as Glamglow defines them) and if I use it on the spot a few days in a row, I notice a slight drying out without drying the surrounding skin. But if you are expecting a result the first time you use it, don’t bother. There’s no result. Not even for the next few days. What I like is that it isn’t drying for a mud mask, and I like how smooth and clean my skin feels after I use it. What I don’t like however, is the minty tingle that I feel is unnecessary and honestly, can be irritating to skin. I do leave it on quite a while, up to 40 minutes at a go and I usually follow up with a hydrating or replenishing mask (Laneige Water Sleeping Mask or the Sulwhasoo Overnight Mask, most of the time) to replenish skin hydration. This combination works best for me when I use clarifying or mud masks. To be honest though, while I think it is a decent product, I won’t repurchase nor try any of the others in the brand because I can’t justify paying that much money for a mud mask that for me is just average. I used to use the Kiehl’s Rare Earth mask and that was affordable and pretty decent as well. While this may contain a boatload of ingredients, at the end of the day, it’s a mud mask and I don’t like that weird tingle on skin. They all more or less do the same thing and feel the same. If price is no object, then by all means, try this. But otherwise, don’t bother. Seriously. There are other options. 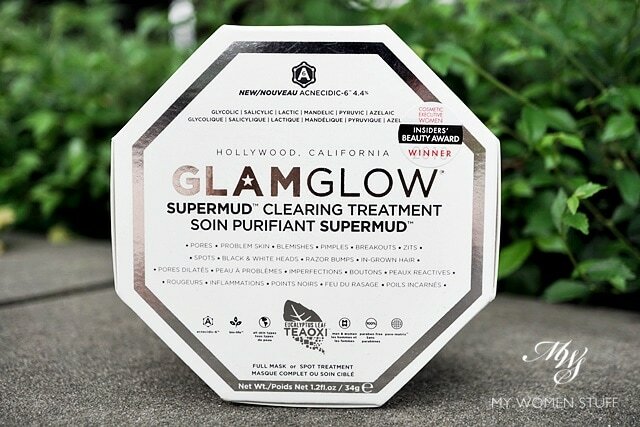 The Glamglow Supermud Clearing Treatment is a mud mask that is supposed to clear and clarify skin. It goes on with a minty tingle that dissipates as the product dries on skin. Washing off the dried mud mask leaves your skin feeling smooth without drying out your skin. However, the astronomical price for the diminutive size puts me off and for that reason, I won’t recommend this for purchase at all. Unless you get it at a hefty discount. 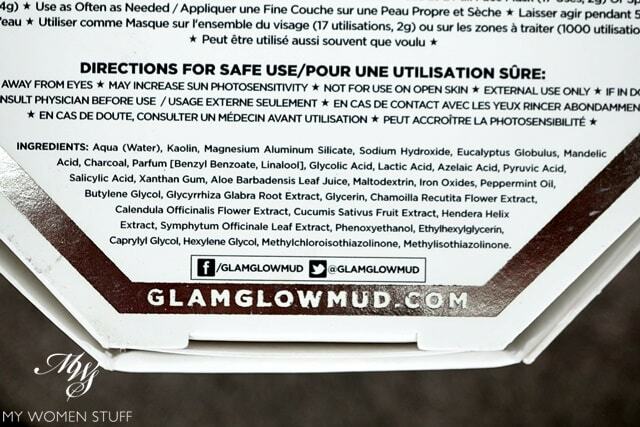 For those interested, here is the ingredient list for the Glamglow Supermud Clearing Treatment mask. 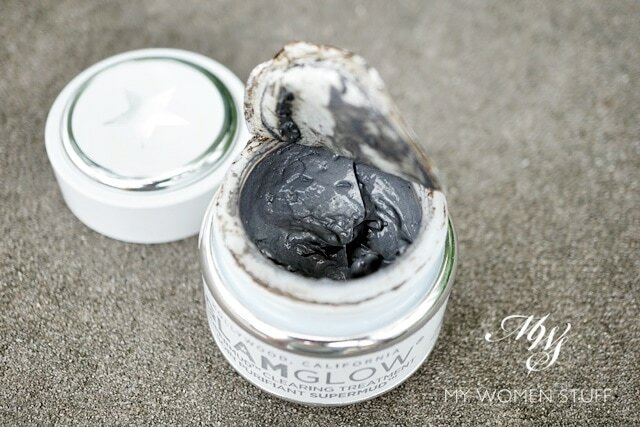 Have you tried this mud mask or any other Glamglow product? Do you have one you like? OMG! I thought it was just me feeling just…meh for the product! Not worth the hype 🙁 esp the tingling feeling really puts me off. There are so many brands out there are much more cheaper than Glamglow, such as Origins and Innisfree. Oh good Fiona! I honestly thought I was alone in disliking this 😛 Truly overpriced mud! i have tried the black version of the same range but to be honest i dont find it worthy with the price i paid. still there is much better cheaper mud masks available out there which does more amazing results after using it. Hi Raj, good to know! I’m not likely to try anymore from the brand simply because I don’t think the prices are that justifiable. I am curious about that hydrating one though. The idea of a hydrating mud mask intrigues me! Oooh I remember using this a while back! While I liked the after feeling (gotta lap up all that minty-ness) I too found that it didn’t do much for my skin. Expensive as hell too. I’d rather use my Lush masks or even my b.liv hydrating masks. Lol glad to have helped save money! Yes the tub is seriously tiny. Gave me a shock! The other thing I saw in Sephora recently that had me scratching my head was the Foreo tooth brush that retails for RM600 or RM800 Have you seen those? Shocking! So sad I can’t use their products, they dry me out like CRAZY! Just as well Phil, they cost too much! Hahaha you know, I too am curious as heck about the hydrating mud mask! But there’s no way I can justify paying that much money to assuage my curiosity 😛 Pity we didn’t live closer or we could share a tub and assuage both our curiosities! Well, those wordings, Hollywood, Glamorous, Youth, Glowing etc never fail to spellbound our better senses. I understand it too well as had fallen not once but 3 times victims to this brand, intrigued by the packaging and the hypes surrounding these products which i was more convinced each moment i came across independent reviews like yours, Paris that heaps of its costs must have channeled to its marketing segments. Well, wake up calls to splash out just based on superficial presentations without pondering and research/wait for reviews first. Love the way you wrote about it … hahaha, guess that is the reason for my response here. hi Paris, i\’ve been reading your blog for many years now this is the first time i\’m writing back. i\’m also a huge beauty junkie and love to try out new things. 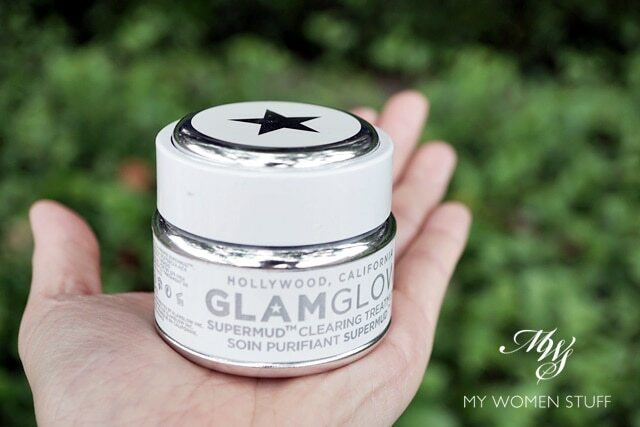 while i havent tried this white glamglow Supermud, i\’ve tried the black one called Youthmud and i love it. i scrub during application too and each time after use, my face feels and looks so much smoother and softer. I heard that glamglow is discontinuing the Supermud btw. I really want to know sbout the blavk chunks, i realize they are nothing to worry about most likely but it disturbed me anyway….they are spendy little buggers though arent they? I agree with your assessment 100 percent, decent but not worth the price! I loved this review, i will have to read more in the future, you are hysterical!